Seoraksan National Park (Hangul: 설악산 Hanja: 雪嶽山) is one of the most beautiful places I’ve been to in Korea so far. 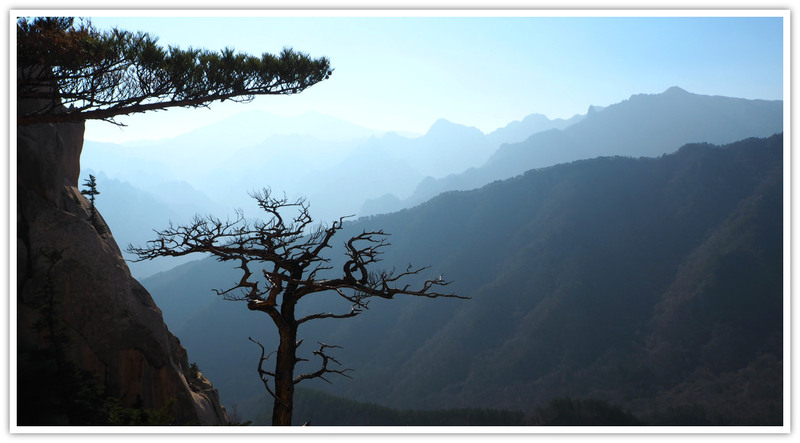 From the vantage point of the valley, you will be amazed by the beauty all around you—sparkling river and streams, the valley of Buddhas, rising mountain rocks with various formations, trees, old temples—awesome! I explored the valley and some mountain peaks in a day! But one day is not enough to see and enjoy them all. 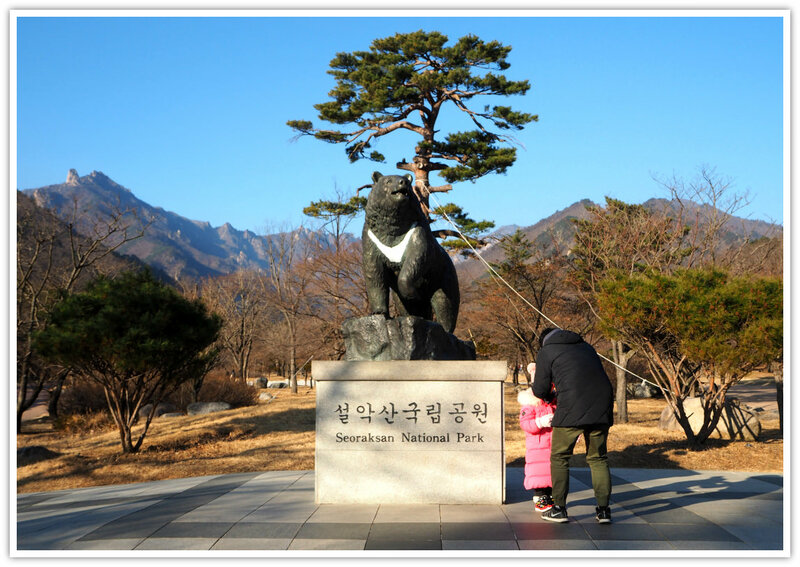 This article could be your basic introduction to Seoraksan National Park. It describes most of the great things you can explore on a day trip or two. 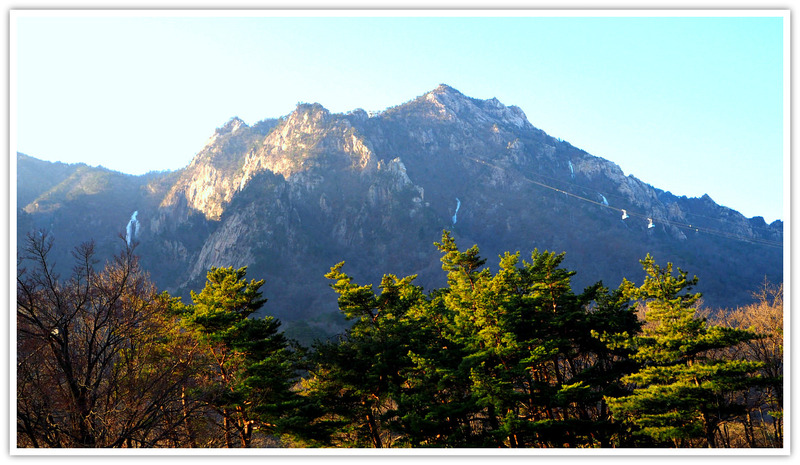 FACTS: Seoraksan is the highest mountain in Taebaek mountain range in eastern South Korea. 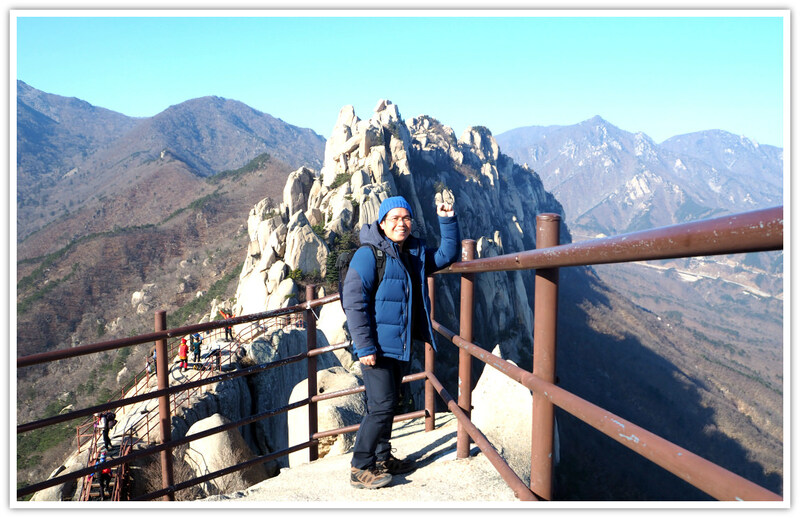 Its highest peak is Daecheongbong Peak reaching 1,708 meters high. Domestic and international tourists visit here all year round. As you walk a little farther, you will find the following establishments and structures. I found the set up satisfactory in the sense that it does not look crowded and not really distracting to the natural sight of the surroundings. Inside the park, you will not parch or go hungry. You will find shops (selling hiking gears, etc. ), eatery, cafés, fast food chain, Korean restaurant, and coffee shops. The prices are fair and standard according to domestic rates. Taking a cable car is the quickest way to experience a great view of the park from inside the car and on the mountaintop. The cable car area is just a few meters from the entrance. Inside the cable car building, you will find facilities and services including café, sitting area, washrooms, ticketing desk. 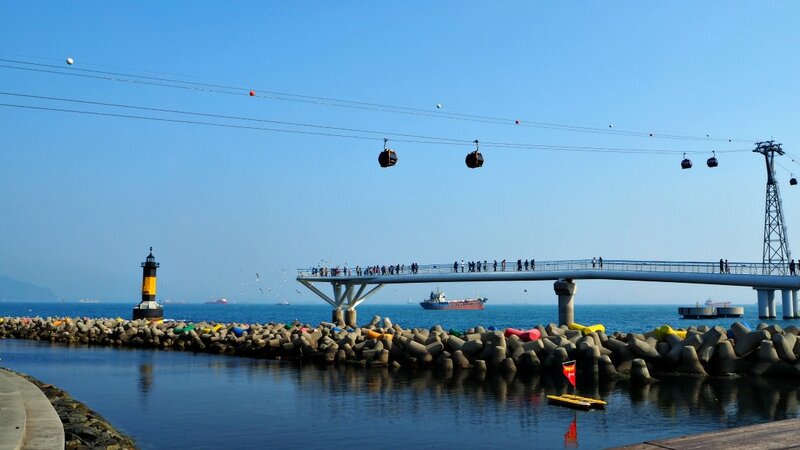 Upon reaching the cable car’s stop, you will find yourself in a building with facilities including food shops, ice cream and coffee kiosks, washrooms, vista areas with telescopes (500 KRW) and other facilities. Then you will complete your experience by hiking farther for about 5-10 minutes where you will see the bare rocky mountain. This is the area where they formerly established the Gwonggeumseong Fortress. Just follow the crowd—not only adults but also children and even babies! The hike is quite easy as there are steps built from the cable car building to the site. You have fantastic views from there, but there are no trails beyond the area (could be disappointing for hikers who want more—like me!). The following major attractions composed the parks at least. Most travelers see them within a day or cut short your visit by visiting only those very accessible and effortless sites. See more descriptions per site by scrolling below. Buddhist monks have occupied the area since the mid-6th century. 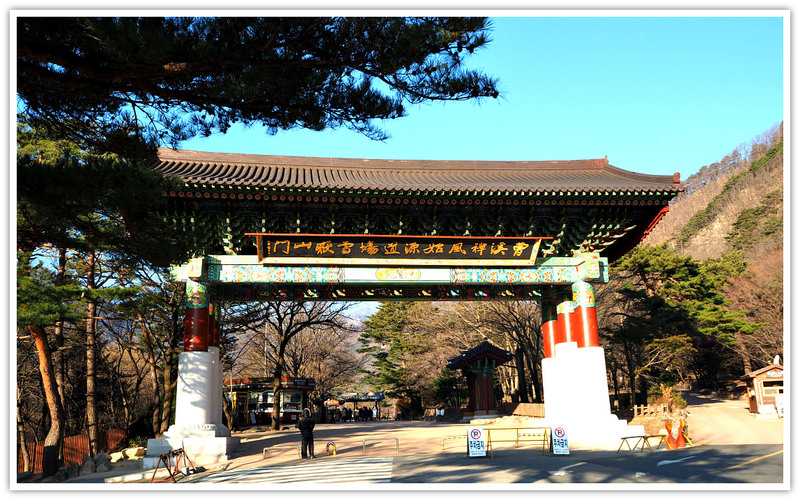 Within the park, you will see old established temples and Buddhism facility areas. These places not be missed as part of your day-trip as they are part of history in this special place. Followers of Buddhism offer prayers in front of the statue. Moreover, if you want to, you can write your prayers or wishes on a semi-round black clay slab and put it close to the shrine. 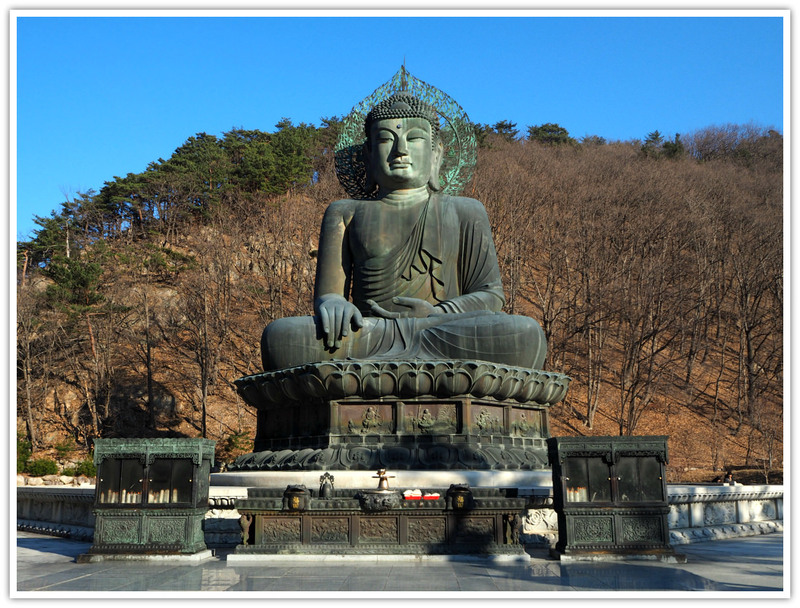 Shinheungsa is the closest attraction located near the entrance area of Seoraksan National Park. It is about 0.6 kilometers with a basically flat and easy walk over a concrete trail. The temple area and its structures and beautiful—some are new while some are century-old. Aside from the serene spiritual atmosphere and well-laid out facilities, you will also find the thirst-quenching cool fountain. Anybody is welcome to drink from it. Heundeulbawi (Rocking Rock) is located below where you have a great view of Ulsanbawi. This is on the way to that wailing sky mountain. This rocking rock is spherical and sitting on top of a much larger and flat rock. Heundeulbawi is around 5 meters high and can be rocked a bit. Mysteriously, many tried to push it down, but nobody succeeded. 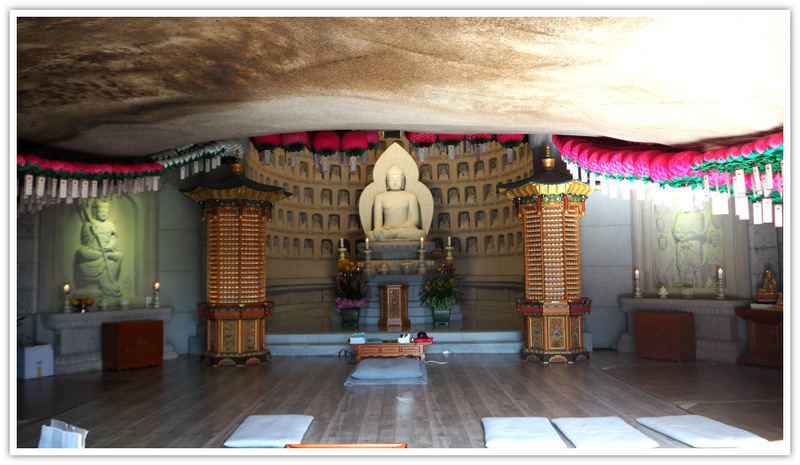 Gyejoam Grotto is where you can see the ‘rocky rock’ above. 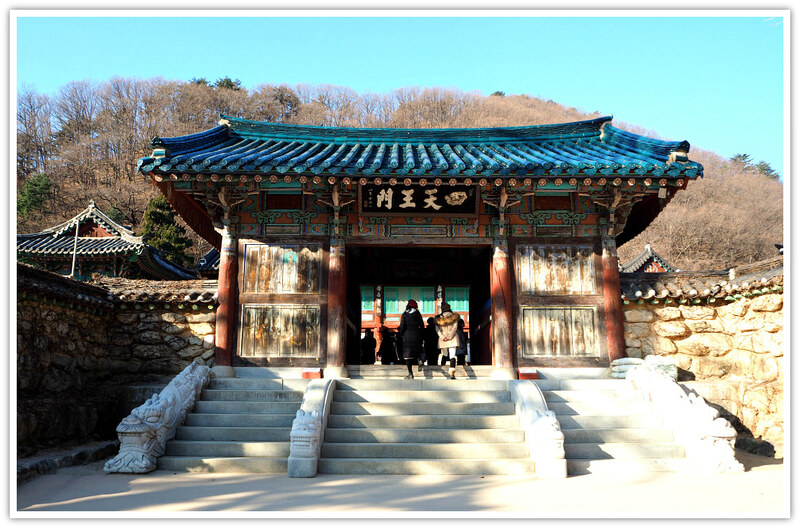 This grotto was built by a master monk (Vinaya) during the sixth year of Queen Jindeok of Silla (652), according to the description posted in front of it. 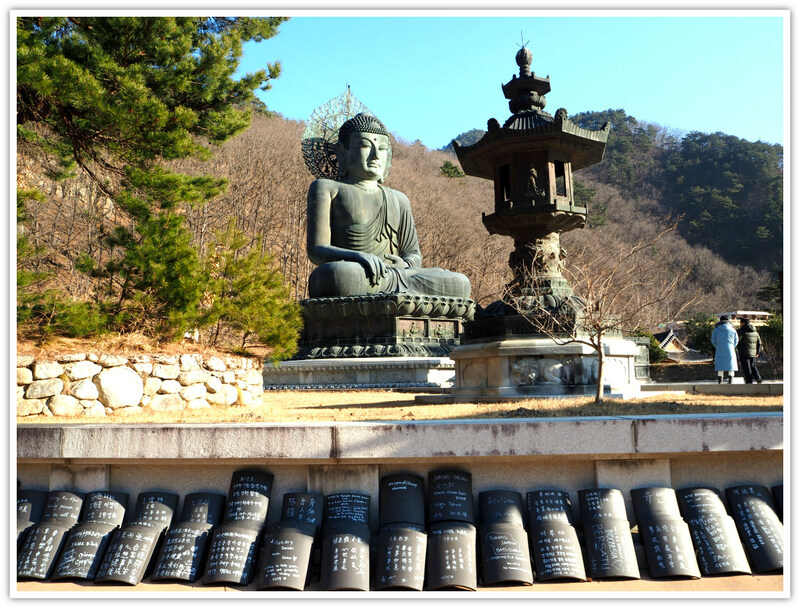 The name ‘Gyejoam’ means ‘inheriting the progenitor's grotto.’ That’s because the other Buddhist masters inherited that place from the original builders. What really surprised me are the writings carved on the huge rocks’ walls and more on the rocks’ surfaces (in Chinese characters). They should be the writings about the place, its founders, and some Buddhist prayers and mantras. Built in one of the rock clusters, a grotto hermitage was established under the round shape rock which is a cave. 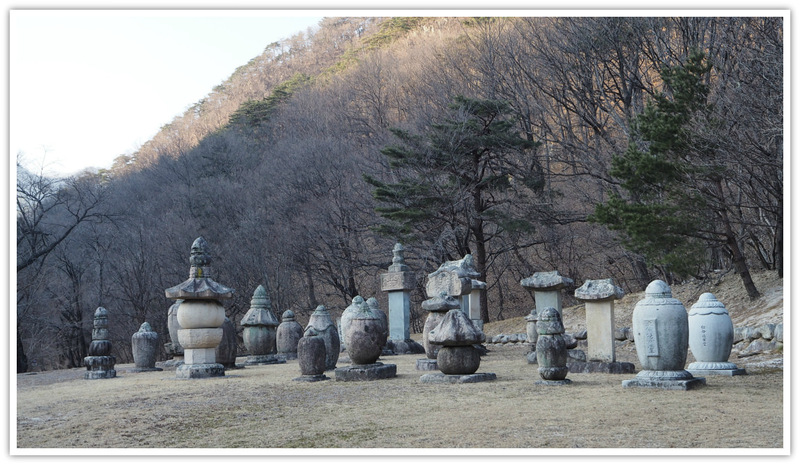 Biseondae is another site located at the end of the main valley. It is a rock platform in a stream in which stories are made. Some called a location as the fairies’ playground due to its pristine and sparkling fresh water where the fairies take a bath. Ulsanbawi is one of the astonishing sights at the park. It is about 3.7 kilometers from the center. The rocky mountain is a vertical rock peak and a must-see vista. 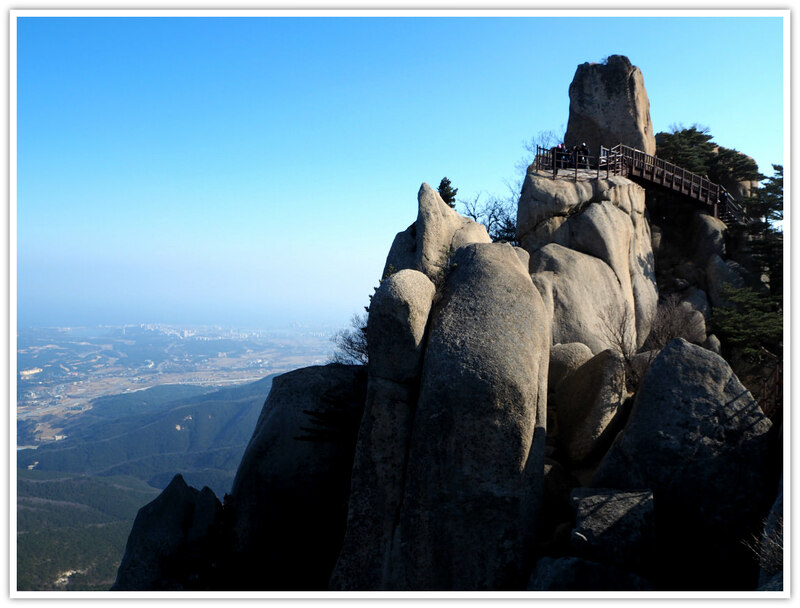 It has six towering peaks reaching 873 meters and a circumference of 4 kilometers. 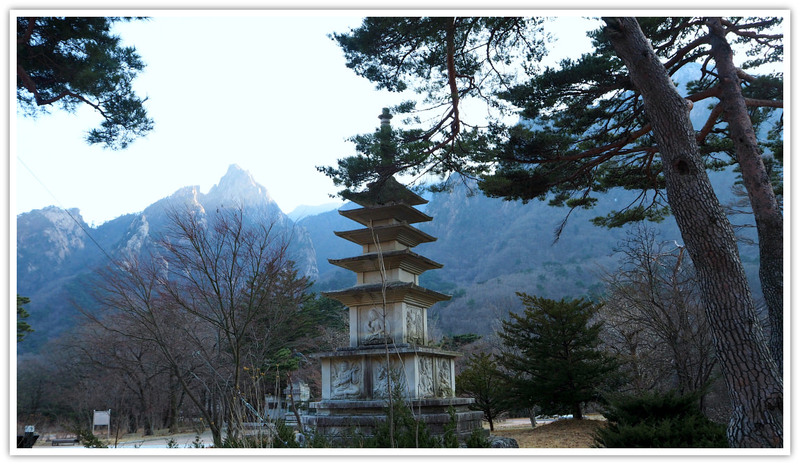 Literally ‘Ulsan’ means ‘fence mountain’ deriving from its fence-like appearance. Some old maps, they say, this mountain is named as “Cheonhusan,” which means a “wailing sky mountain” due to the sound of the wind blowing from the mountain. 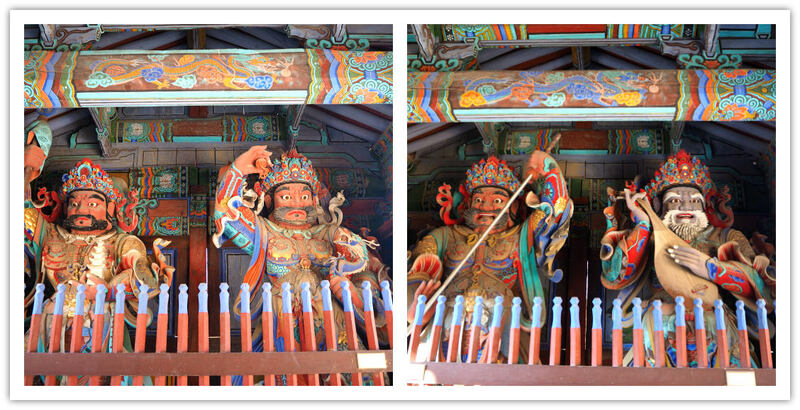 LEGEND: Ulsanbawi was said to be coming from Ulsan City in the southeast of Korea. 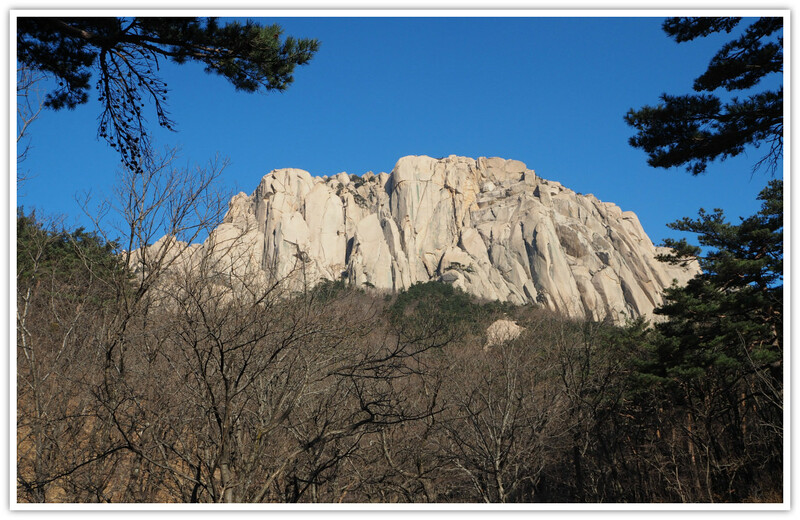 According to the legend, when the kings (or gods) were building the Geumgangsan (Golden Mountain) of North Korea, they invited the beautiful mountains from all over Korea to become parts of Geumgang Mountain. Ulsanbawi started its journey to the north but arrived too late and no space left. Feeling embarrassed, Ulsanbawi started walking back but the rock fell asleep in Seorak area. Finding the place so beautiful, it decided to stay and never returned to its home. I promise to be back someday and climb Daecheongbong including the majestic waterfalls (such as Biryongpokpo and Yukdam waterfalls. So, keep tracking my updates and new pages on this site. A day is enough to cover the attractions. 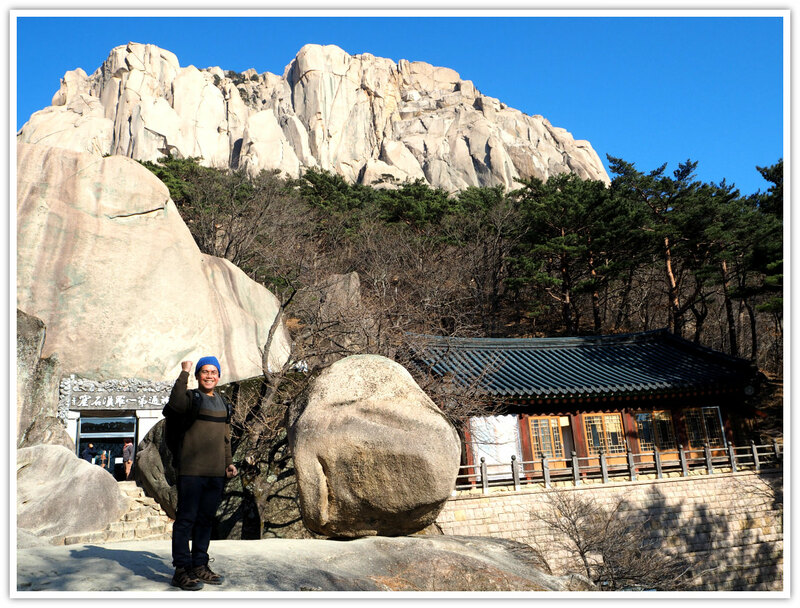 But if you wish to appreciate and enjoy the beauty of Seoraksan National Park fully, you should spend a couple of days or so. Alternately, visit this park at different seasons to see how they show off its natural beauty. Many say that autumn is lovely due to the changing colors of foliage. Staying overnight after your day trip, or arriving in the evening and sleeping over is not a problem. 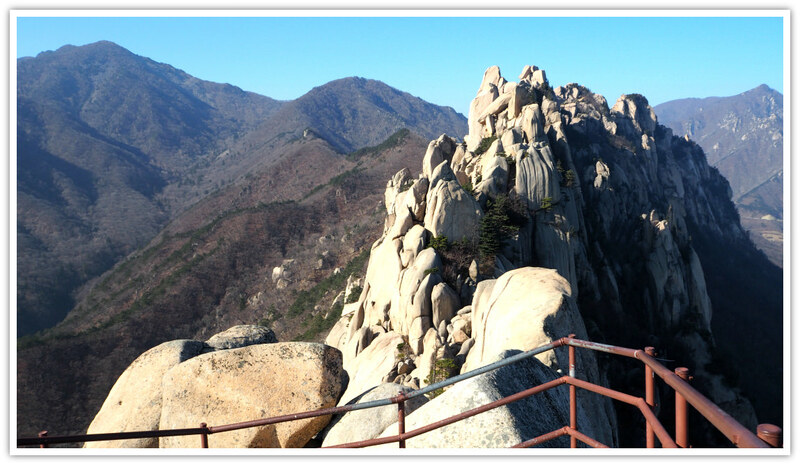 Seoraksan National Park is very accessible and close to Sokcho City where hotels and other cheaper accommodations are available. From the city, it only takes around 15-20 minutes by city bus (#7 or 7-1). If you want much closer, less than 10 minutes, you can stay in a hotel, condo, or minbak (a room in a private house for overnight stay). These accommodations are located in Daepo Port area. Within the park accommodation? Yes, there is one. It is the Kensington Hotel. You have to pay what you want to get. Surely they have great service and facilities. 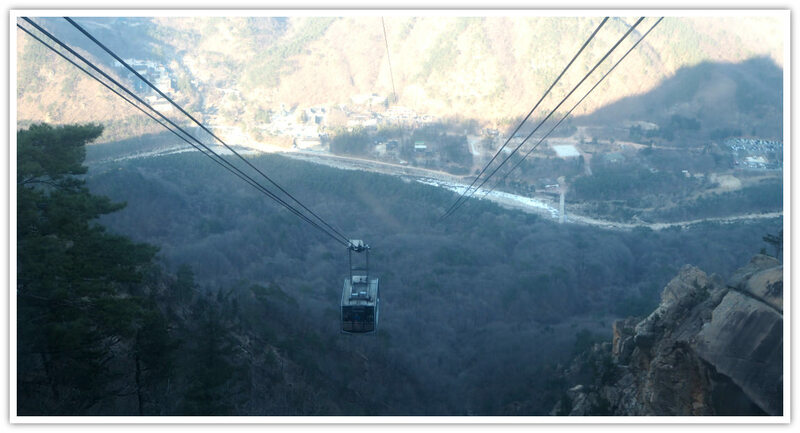 You can get to Sokcho City then take a public vehicle from there to Seoraksan National Park’s entrance area. From Seoul, you can take a bus from Gangbyeon Station’s Seoul Express Bus Terminal. It should take about 3 hours to get to Sokcho City’s Express Bus Terminal. Take the Bus #7 or 7-1 that will take you to Seoraksan Park’s parking area in around 20 minutes only. The bus stop is just across the bus terminal. From Incheon area, head to Incheon Integrated Bus Terminal. 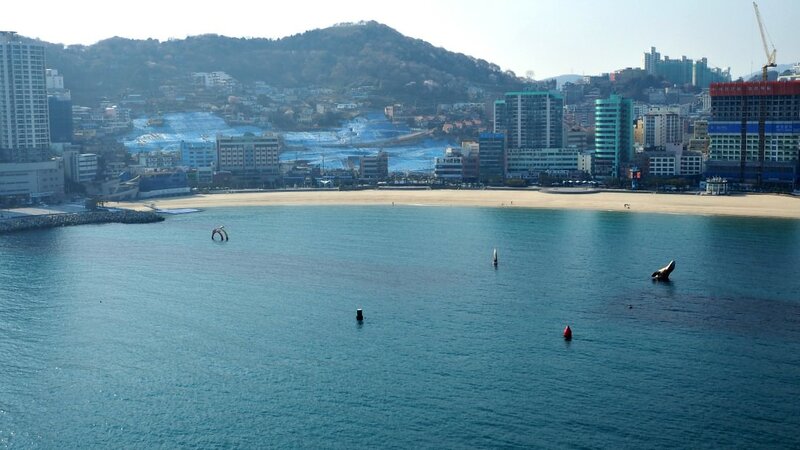 Buses traveling outside the city of Incheon and other express buses are available here. You can either book your ticket online (through apps) or buy it at the terminal. (I suggest buying it online to be sure of your time and seat preferences). Click here the online application I used for booking. It is in Korean language but very useful. Download the app to your phone. You can enter the bus using your online ticket. Taking a train to Sokcho is also another good choice you can make. Wishing you have fantastic and safe travel to Seoraksan.